Open to all Mt. Arlington & surrounding area boys & girls ages 4-8. Spring Season runs for 8 sessions (weather permitting). Fall season runs for 6 sessions starting Saturday, Coach Pitch will be held at MAPS School & Tee-Ball at Fireman’s Field both on Saturdays at 9AM. Makeups may be scheduled for Sunday’s. Tee-Ball/Coach Pitch does not overlap with Spring Soccer Toddler/Munchkin Soccer Clinic but may conflict with game times of those on League Soccer (6+). Forms will be available at sign-ups and online. Questions please email [email protected] or call 973-234-5080. 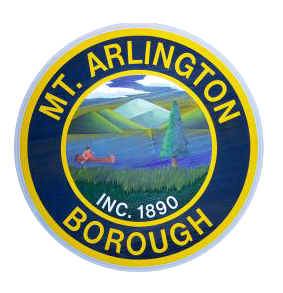 Nestled on the shores of Lake Hopatcong, in Northwest Morris County, Mount Arlington is a vibrant and historical community.